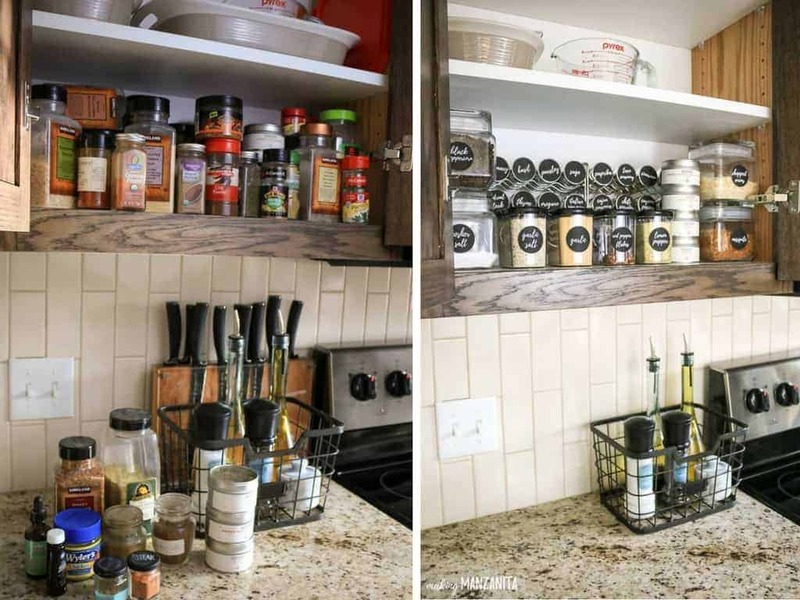 If you’re craving more organization in your kitchen, you’re going to love this spice cabinet makeover. 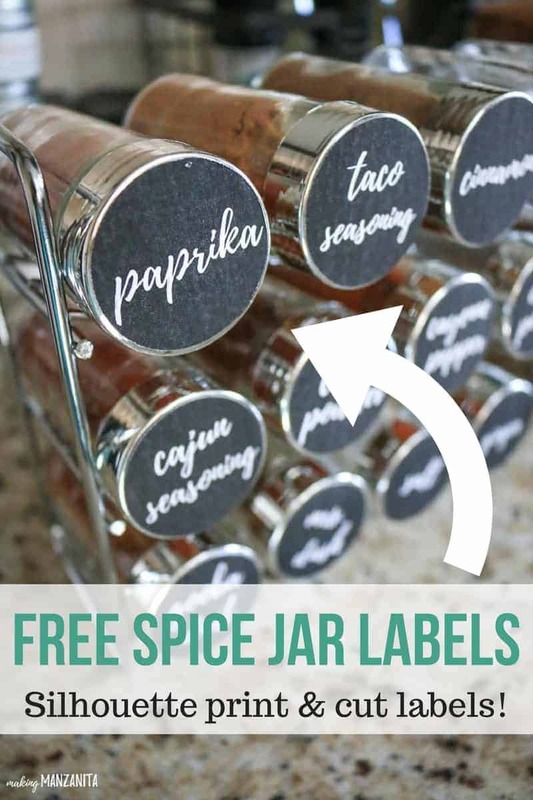 I’ve also included a free printable to make your own spice jar sticker labels for your brilliant spice cabinet organization. Let’s get those spices organized! 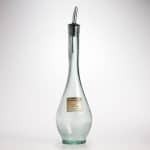 This post is brought to you by Cost Plus World Market and contains affiliate links, but nothing that I wouldn’t wholeheartedly recommend anyway! Read my full disclosure here. Spices, spices everywhere! Spices literally seemed to be coming out of our ears when started we started unpacking the kitchen at our new house. We didn’t have anywhere else to put them, so we stacked them up on the window sills in our kitchen and now we seriously look like hillbillys! 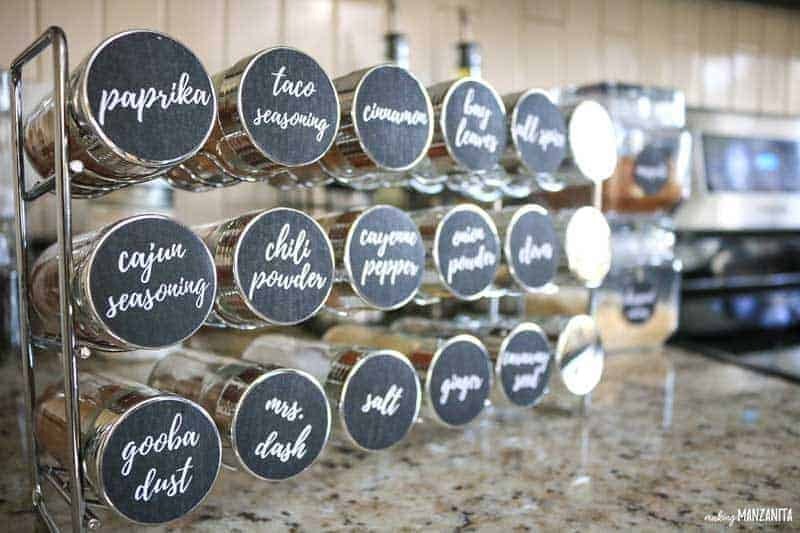 I really needed some spice cabinet organization!! We got the keys to our new fixer upper on December 22 and then immediately went out of town for the holidays. We spent the week after Christmas moving way too many boxes and trying to dismantle the mess (we’re still digging our way out weeks later!). If you’ve ever moved, you know the feeling. But there’s a whole ‘nother feeling when you move during Christmas. It’s like my heart was in such a struggle. All I wanted to be doing was be lounging around, watching Christmas movies and making yummy treats….but I was packing boxes. To be honest, I’m still really struggling with how unorganized and messy everything feels right now in our house. We’ve been nonstop busy since moving in and haven’t had a whole lot of time to get unpacked and organized (we were working on some fun renovation projects at the old house for the renter though – like this farmhouse style reading nook!) I’m sure you can relate, right?…Moving really is the worst, isn’t it? At our old house, I had a great spot to put my spices in our entertainment center converted to pantry. But it doesn’t work in our new kitchen, so I needed to come up with a new creative solution for all these spices. So a spice cabinet organization makeover was definitely on my mind. 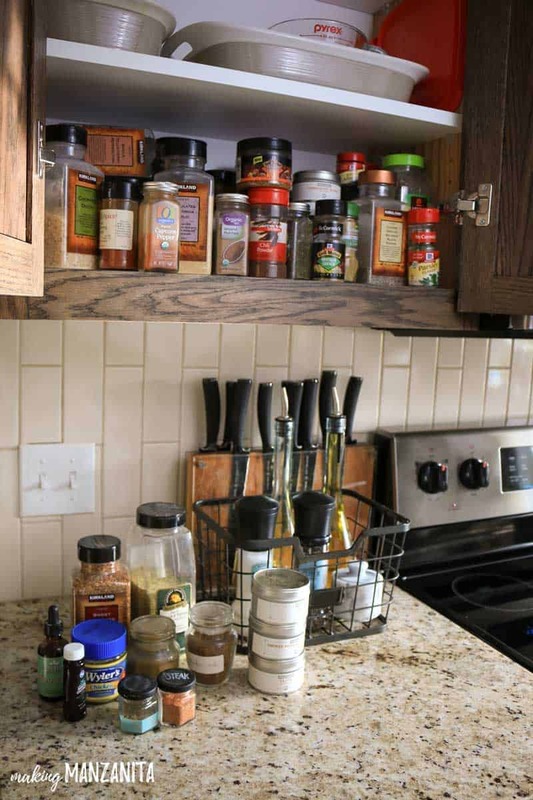 When we were unpacking our kitchen, we set aside a cabinet near the oven where we could put spices. But after trying to get them all to fit by just “throwing them in there”…it just wasn’t going to work. Not only did it look horrible, messy and unorganized, but you couldn’t see anything and they didn’t all fit either. 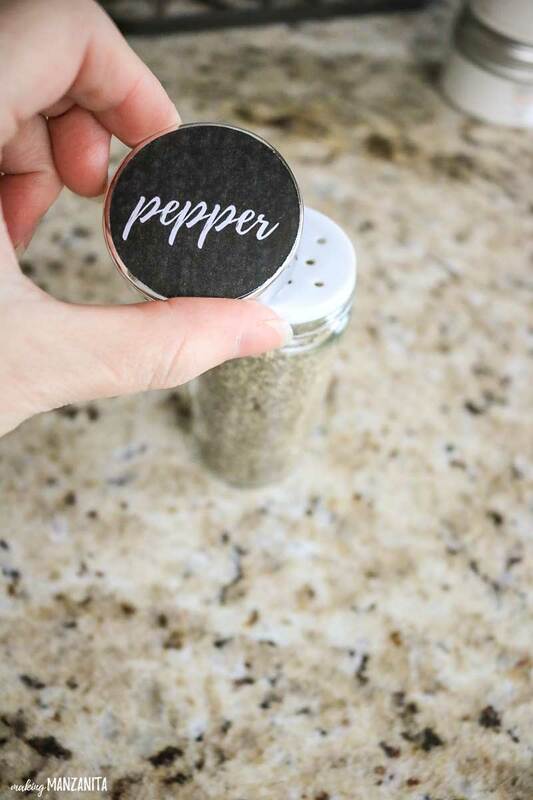 I made these fun printable spice jar sticker labels for the lids of the jars and I’m so glad that I can share them with you too! 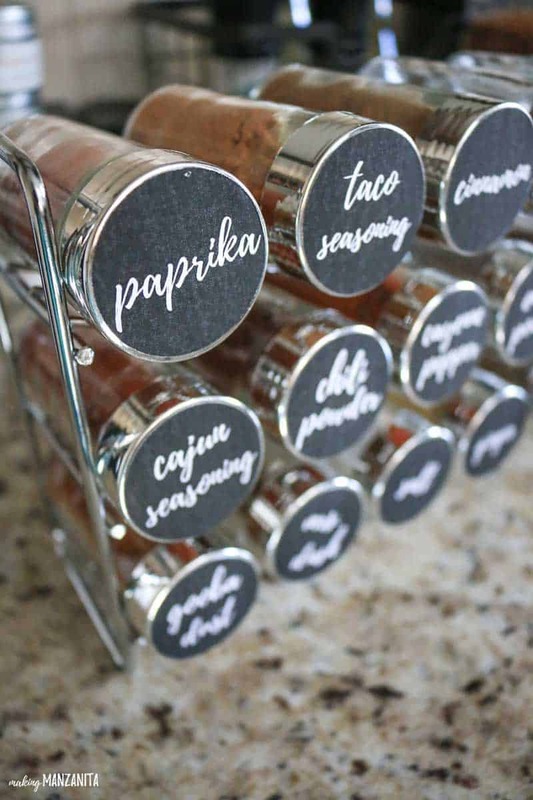 Makes my heart happy that you can use these in your spice cabinet organization makeover! 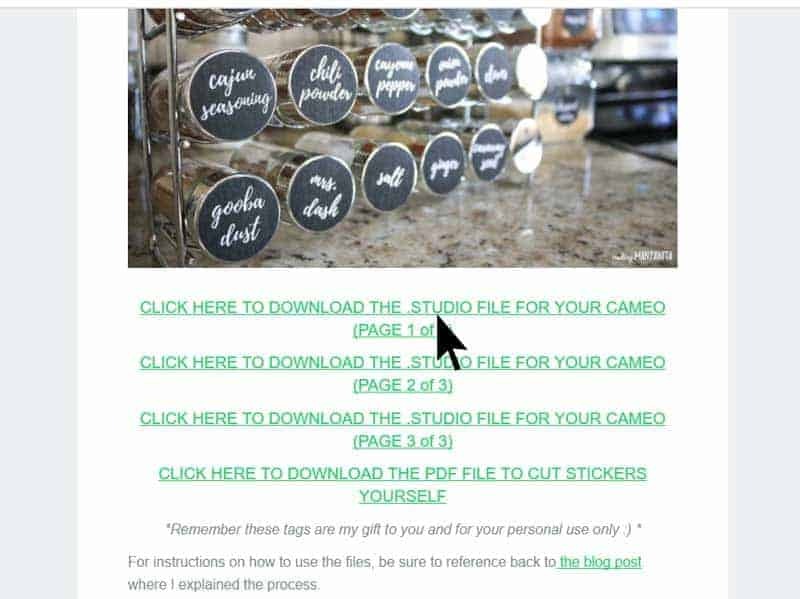 You will receive both a .studio file to be used as a Print & Cut file with the Silhouette Cameo (see instructions below) AND a PDF (if you just wanted to print on sticker paper) via email once you sign up. If you don’t have a Silhouette Cameo, you can print the stickers on white sticker paper and cut them out by hand. 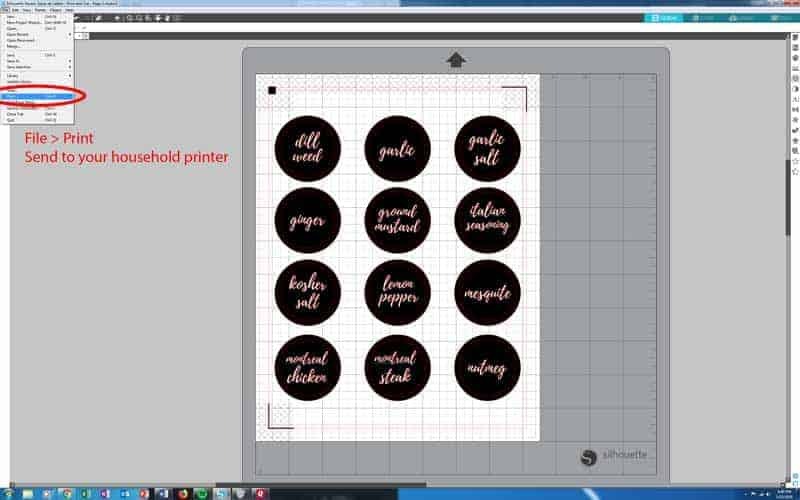 The black circles will be printed and are larger than the spice jar lids, so you don’t have to worry about little white edges if your cuts doesn’t match up perfectly. Download the .studio files directly from the email that you receive from me. There are three pages of this design, so three .studio files that are clearly labeled with the page number in the file name. The 36 spices are organized in alphabetical order. I used the Playlist Script font, which is a free download on BeFonts. You’ll need to download this font in order to have the text appear in the same way as it does on my labels. 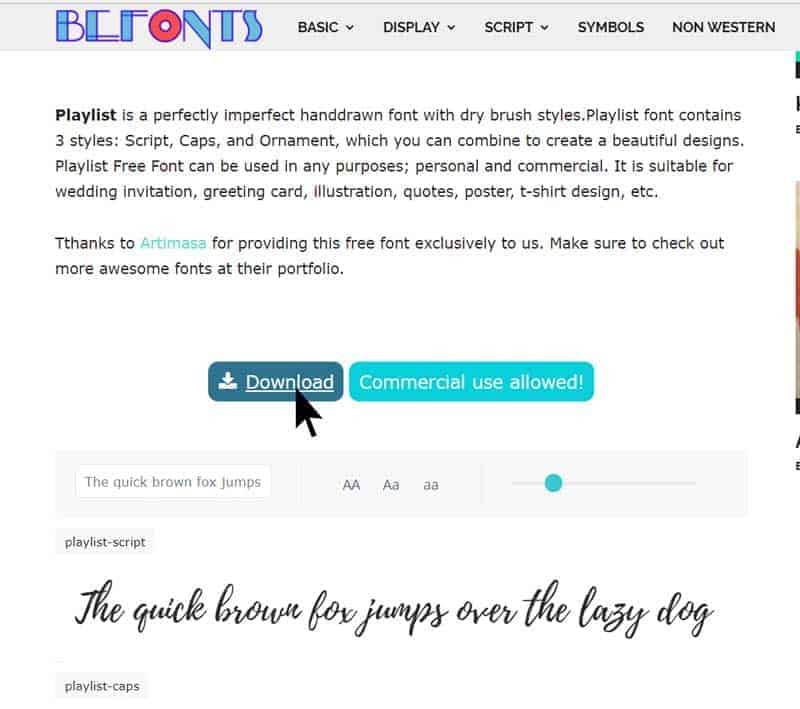 Once the fonts are downloaded, be sure to save them to your computer too. Yes, I could have converted the text to paths before I exported it….but I want you to have flexibility to make changes to the text on the file so you can customize them to exactly what you need ! Open the .studio files you downloaded directly in Silhouette Studio. 3. Check settings and make any changes desired. 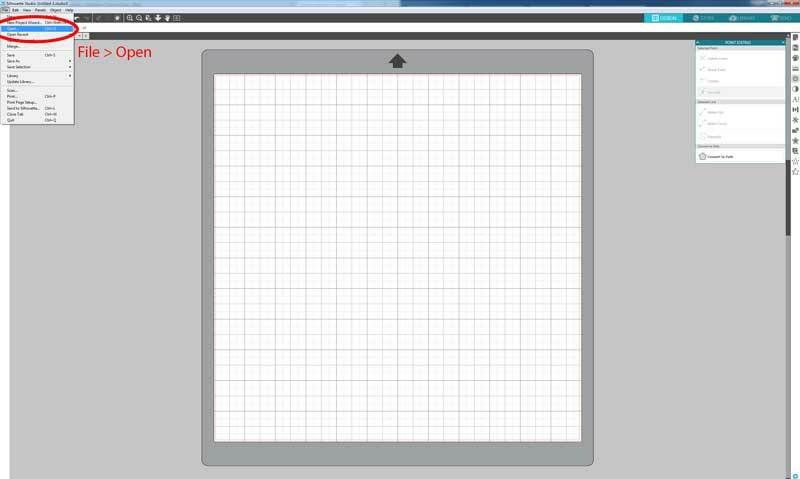 This is what your file should look like when it is opened in Silhouette Studio. 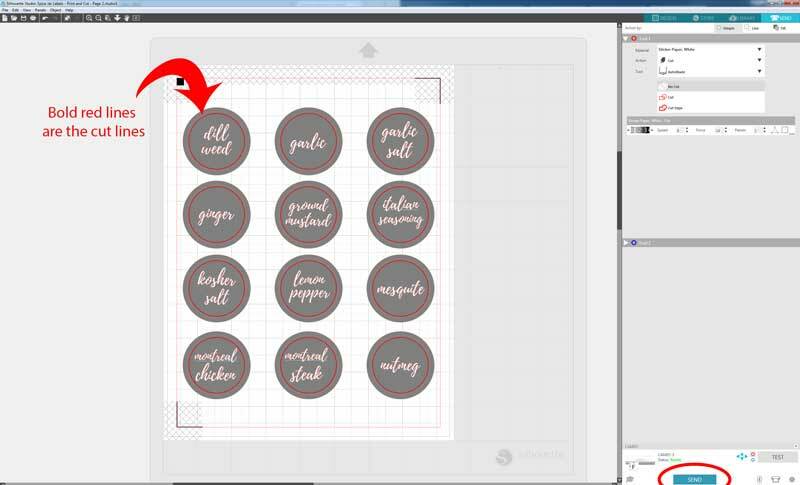 The black circle will be printed and is larger than the spice jar lid, so you don’t have to worry about little white edges if your cut doesn’t match up perfectly. The page size should 8.5 x 11, which is the size of sticker paper. The innermost circle is the one that is set up to cut. 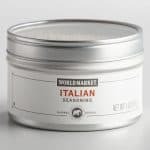 The innermost circles are slightly smaller than the spice jar lids, so you’ll have a small border around the spice jar sticker label on the lid. Everything else on the .studio file design should automatically be set to “no cut”. I used 36 common spices that we keep around our house all of the time. 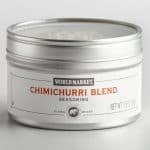 If you needed to edit the spices on the labels, feel free to click on the text boxes and make the changes you need. You should also see registration marks set up automatically in the corners. These are marks that the print out with the rest of the design and then the Silhouette machine reads them before cutting to determine where to exactly to cut. It’s a pretty dang smart machine! The most important thing you need to know about the registration marks is to make sure NOTHING from your design is in the gray hashed out areas. Your file from me will already be set up correctly, but if you make changes to the file…double check this. You can learn more about registration marks here. Load sticker paper into your printer and send your files to your printer. 5. Cut files with Silhouette. 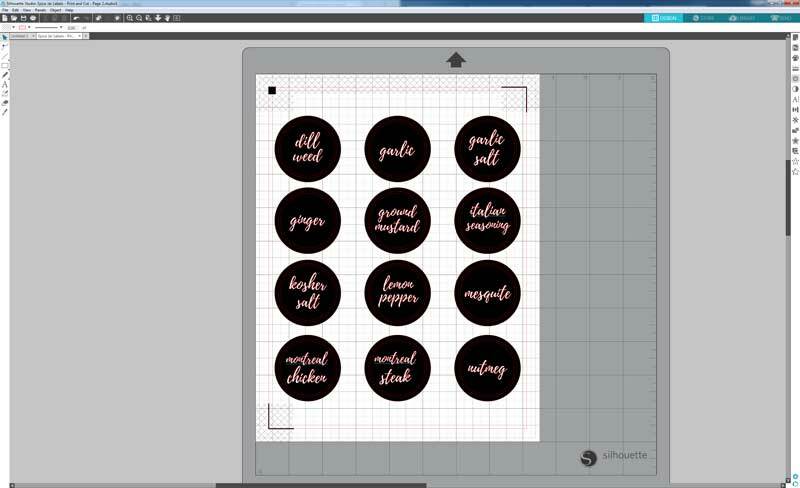 Grab your printed sticker sheet and load into the top left corner of your Cameo cutting mat. Load into your Silhouette and send files to the Cameo. Your machine will read the registration marks first to determine where to cut. Then, it will cut out the circles. 6. 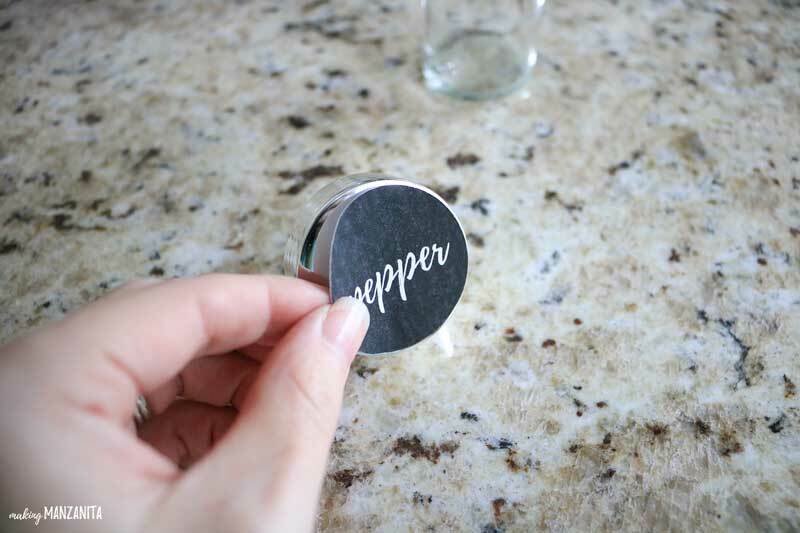 Apply your spice jar sticker labels to your jars! 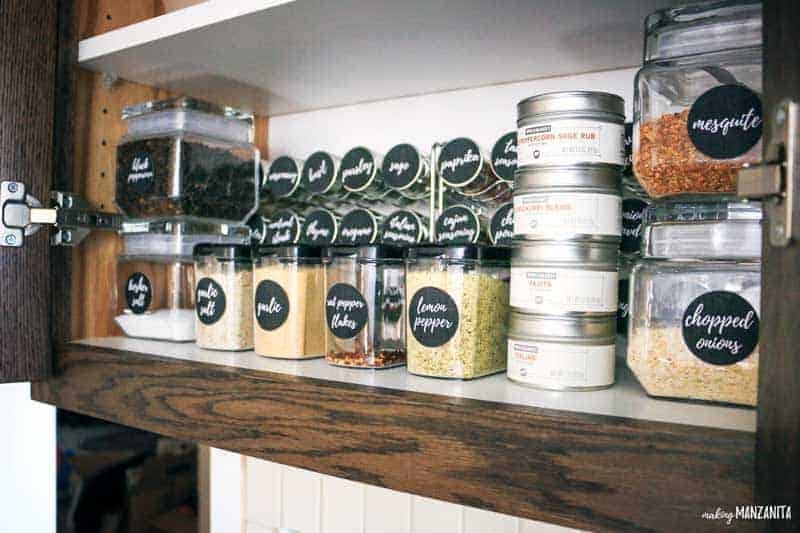 We grabbed all of our spices, jars and sticker labels and turned on a good movie! 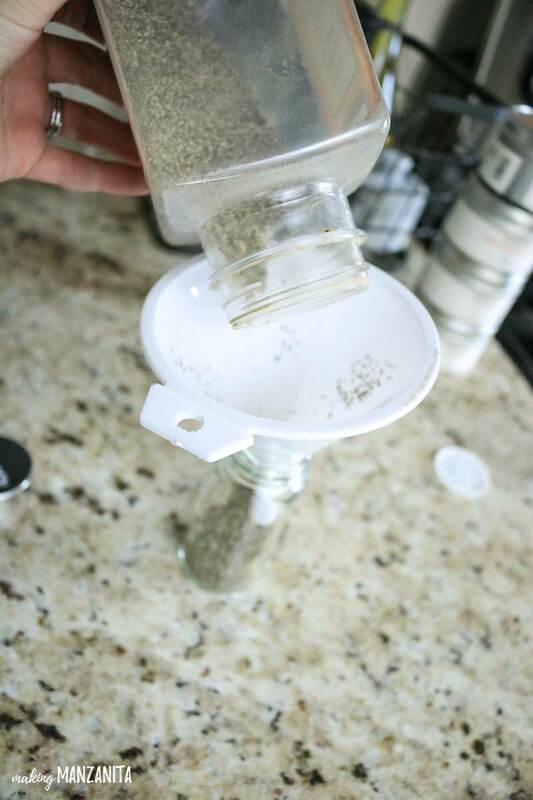 Use a funnel (or a rolled up piece of paper) to pour your spices into the jars. Then apply the stickers to the top of the jars. 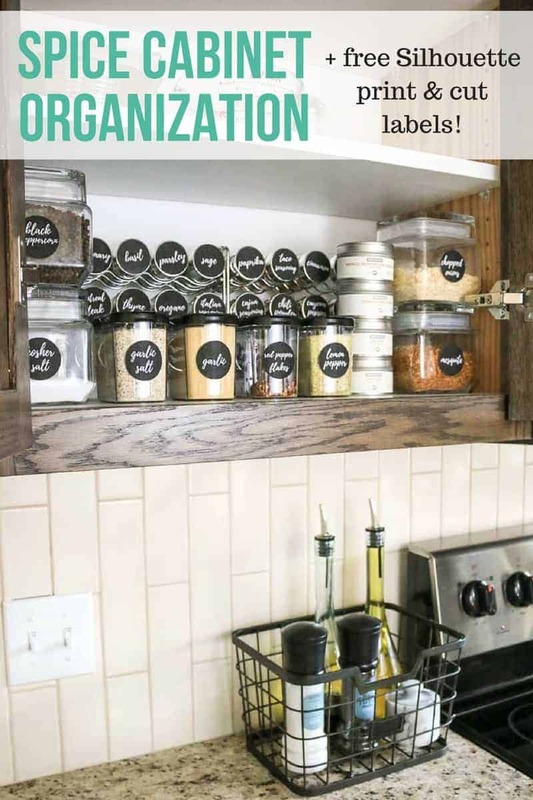 Are you ready to see our brilliant spice cabinet organization makeover?? 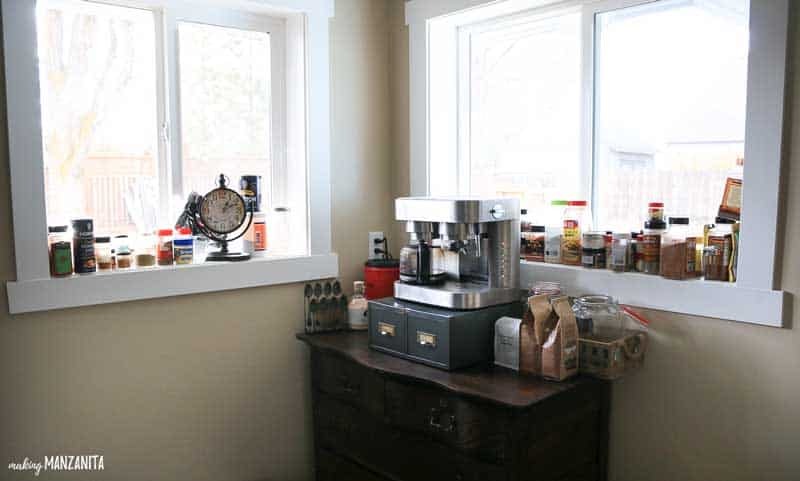 Just a little reminder of the before….here’s our crazy hillybilly window sills with all of our spices lined up. 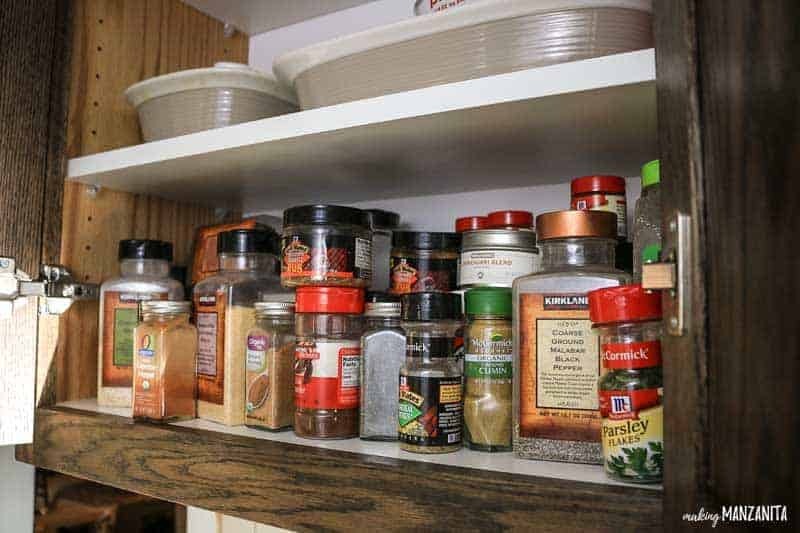 If we were to just throw our spices into this empty cabinet, this is what it would be like….oh my goodness…the HORROR. TA DA! 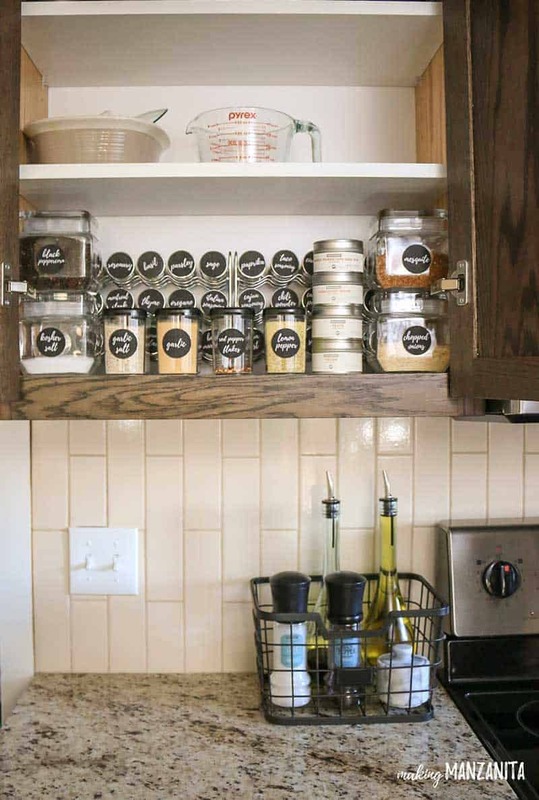 I’m shocked at how this brilliant spice cabinet organization completely transformed the space. It’s so pretty and organized now! Seriously makes me just wanna cook and use these spices all day long! 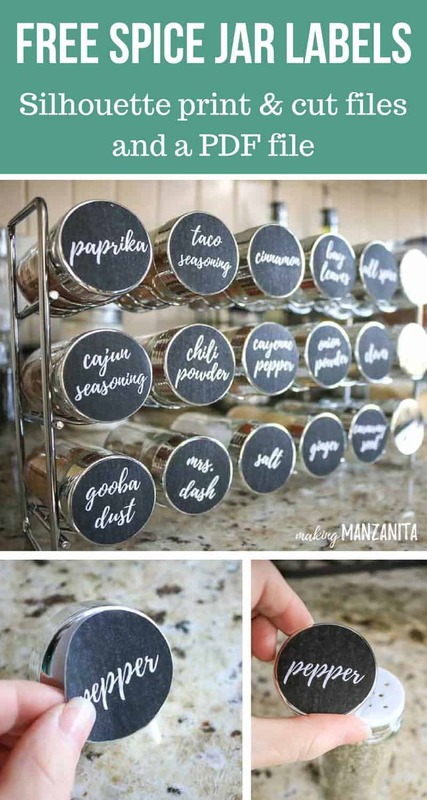 Organizing spices using these spice racks was easy and fun! 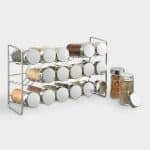 I love that the spice racks are stacked so you can really take advantage of your cabinet space in your spice cabinet organization. We were able to fit two spice racks side by side perfectly in our cabinet for a total of 36 spices. 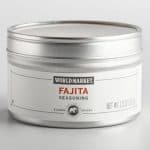 There are some spices that we buy in bulk that required some bigger containers. 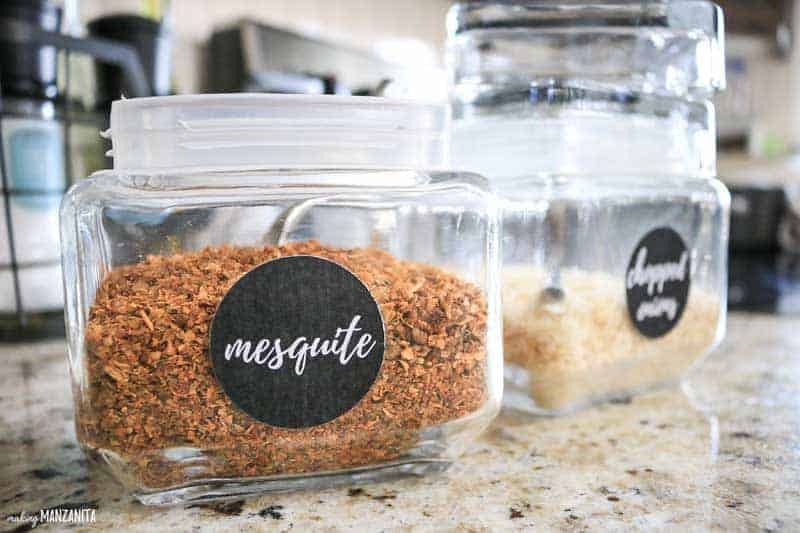 These stacking glass containers were perfect for the larger spices. 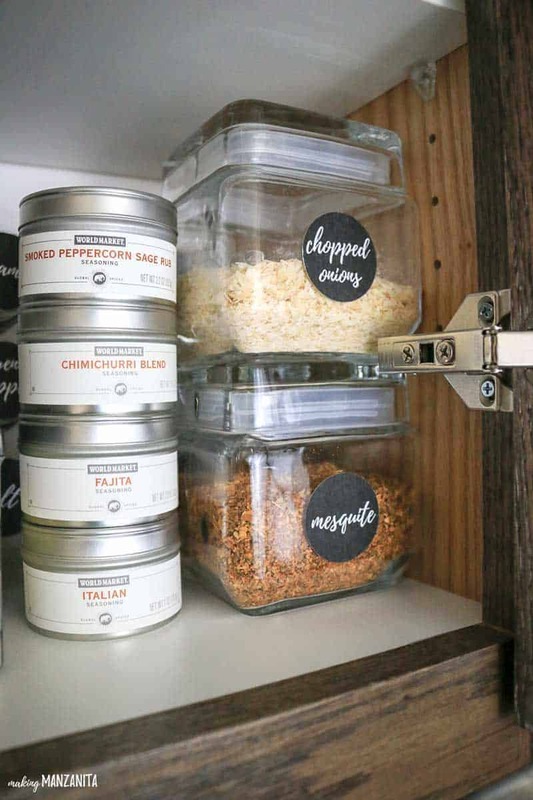 The larger spice glass containers stack up perfectly in the corners of our spice cabinet. 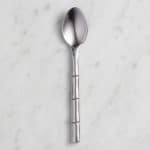 These mini cocktail spoons are so cute, don’t you think? 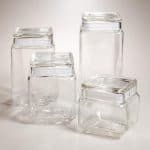 They work perfectly in the glass containers. 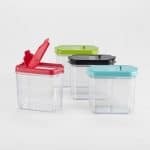 I couldn’t pass up grabbing some of mini keepers storage containers. 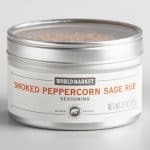 These are perfect for some of those spices that we use more regularly and want to keep larger portions in the spice cabinet. I love that you can both pour and shake out of these. These mini keepers line up in front of our spice racks. 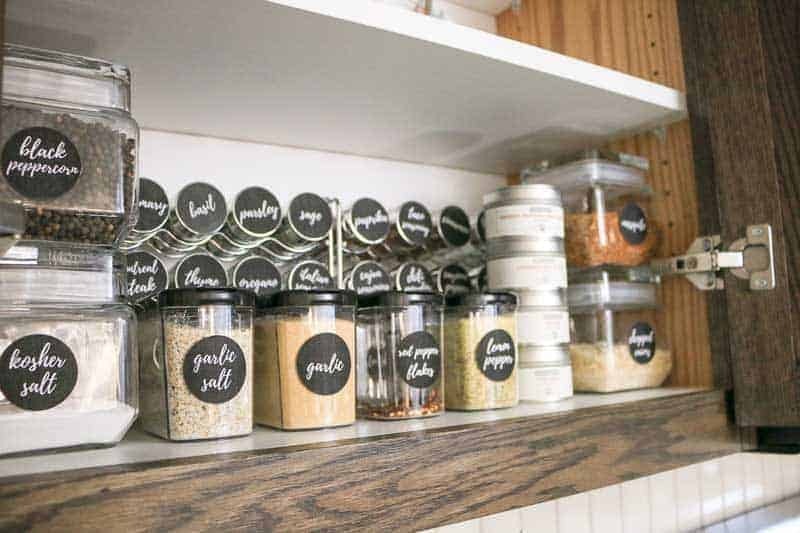 I love that everything in our brilliant spice cabinet organization makeover is clear so you can quickly see when you’re running low on something. 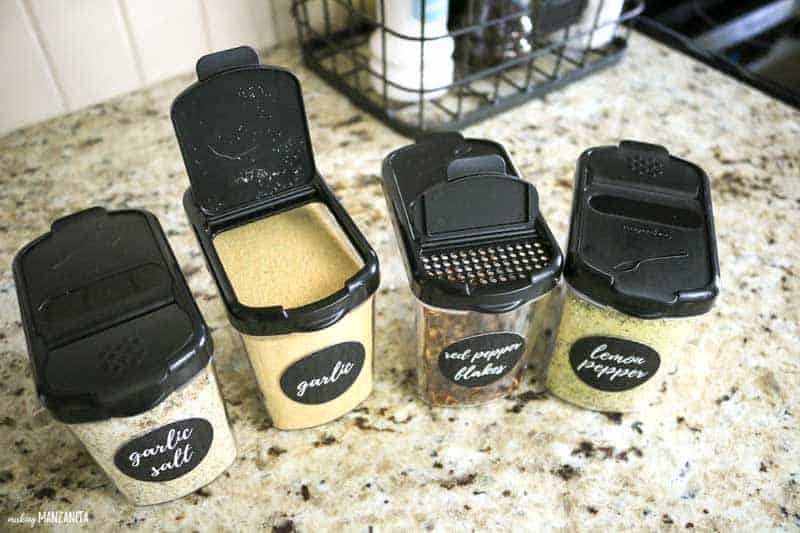 It’s also great that to have labeled jars so you know when you run out of a spice. 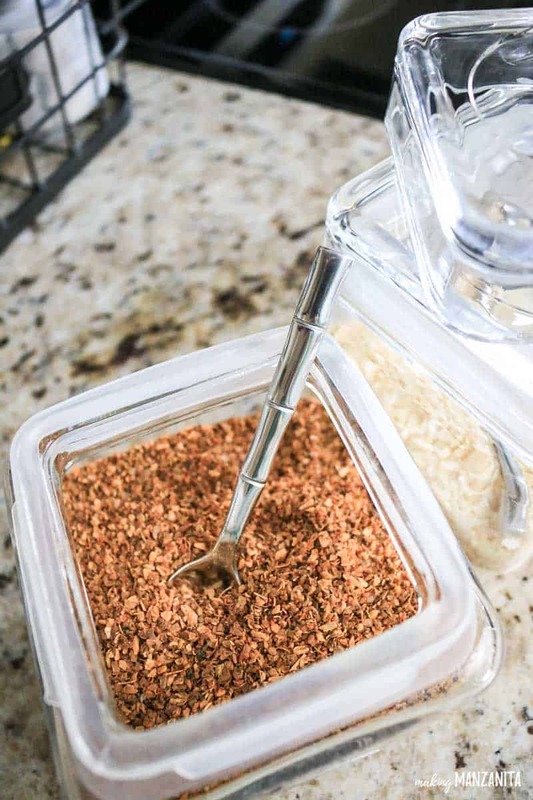 How many times have you started a recipe and find out half way through that you’re all out of a crucial spice?! So frustrating! It really makes a HUGE difference getting rid of random jars with different labels and using consistent and clean spice jars. It makes it so pretty and organized! We even have some extra room on our spice racks for new spices that we buy. 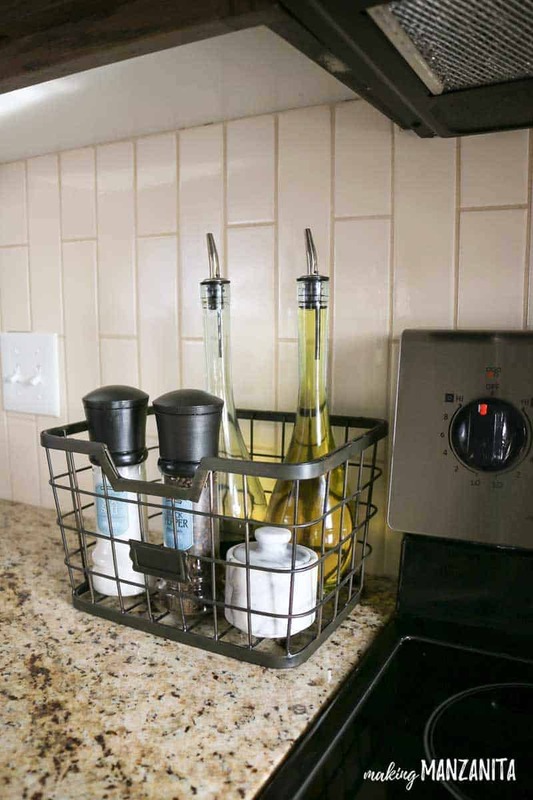 Another tip of keeping your kitchen organized and efficient is having a little basket next to your oven on your countertop. 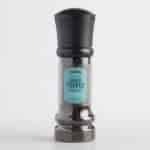 Here you can keep things you need on a daily basis at an arms reach. 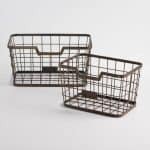 This wire basket is perfect because you can see into it and it’s got that awesome farmhouse style you know I love. 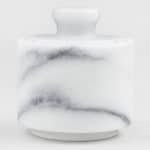 I keep olive oil, balsamic, sea salt grinder, peppercorn grinder and this adorable little marble salt cellar with Himalayan pink salt. 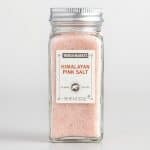 Speaking of….I’ve got a new obsession and it’s called Himalayan Pink Salt. You can learn more about the awesome health benefits of pink salt over regular table salt here. 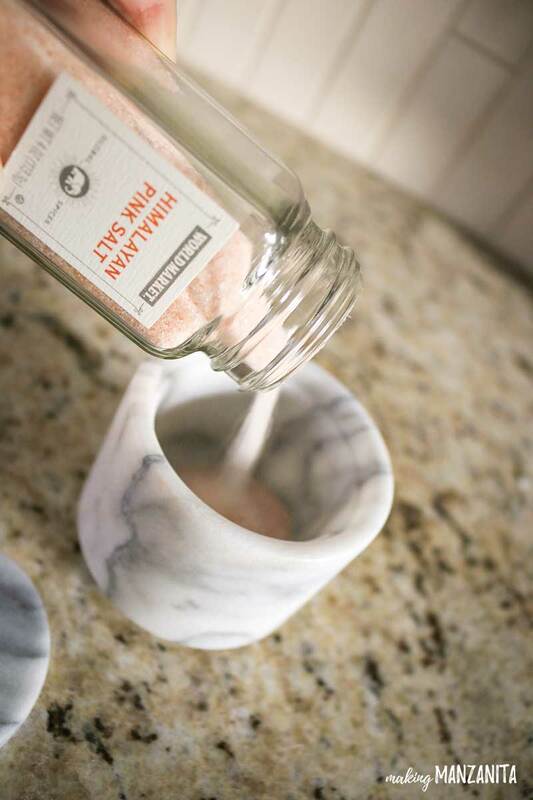 One important thing about using pink salt is keeping in a cool, dry container, which is why this white marble salt cellar comes in handy! 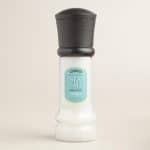 What a handy (and pretty) way to store the salt. Even just having this little spice cabinet organized in our kitchen amidst the moving madness brings me so much peace. 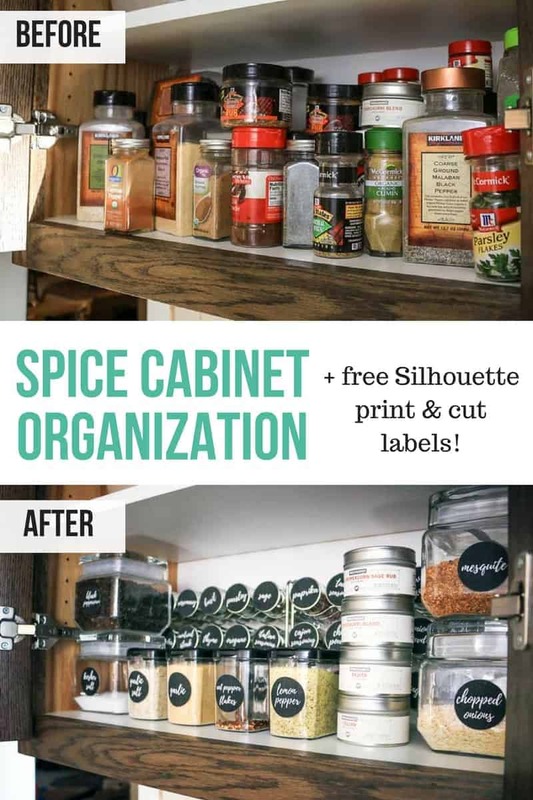 It was so easy to do this spice cabinet organization makeover. I’m so glad that we didn’t wait! 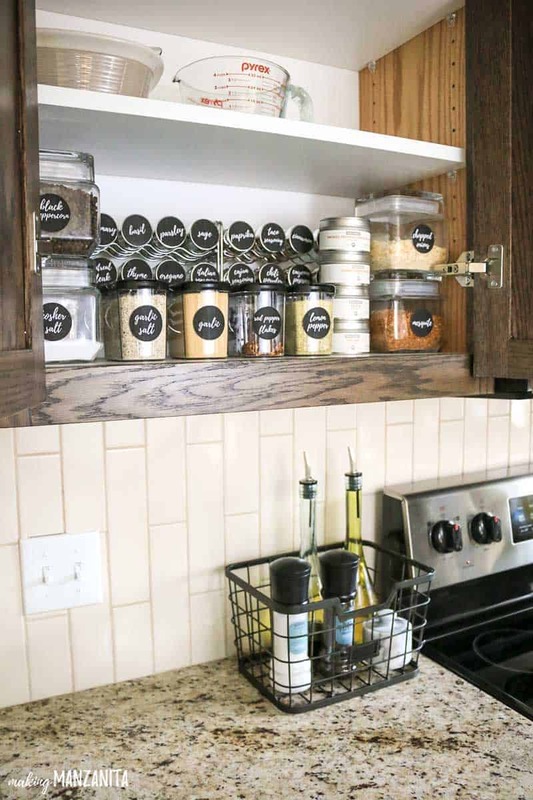 Ready to see some of the dramatic before and after pictures of the spice cabinet makeover?? 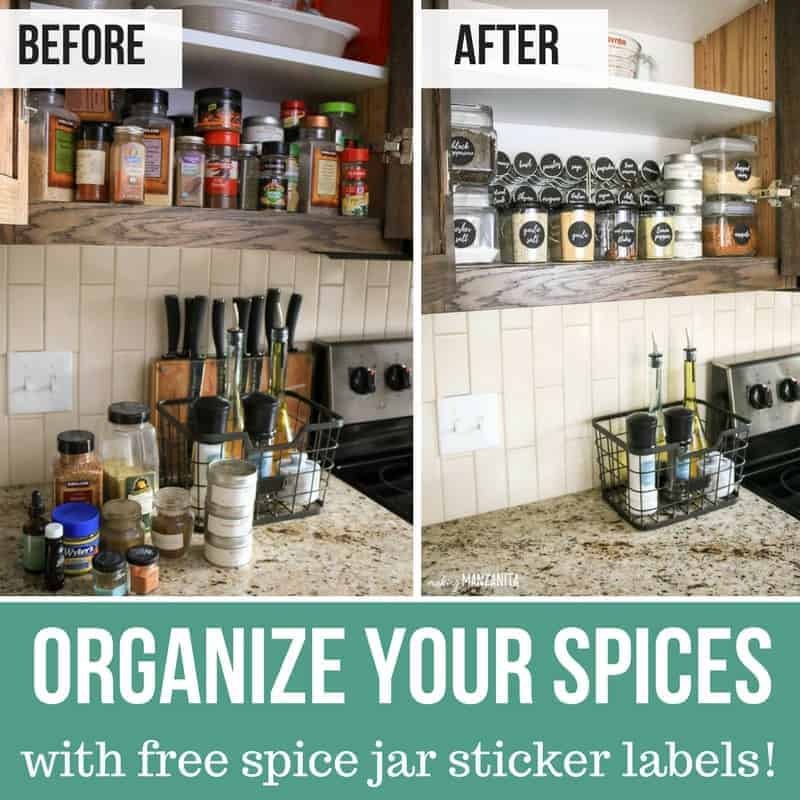 Don’t forget to sign up to get your free spice jar sticker labels! 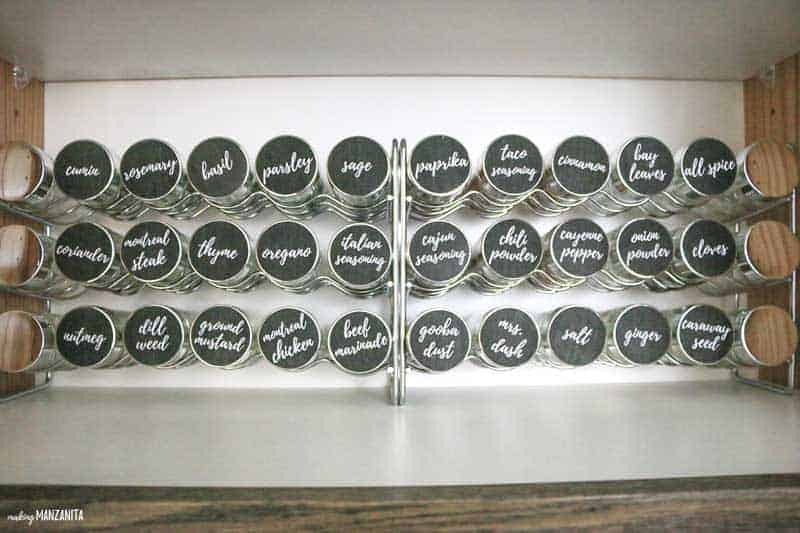 How do you keep your spices organized?? I’d love to know! I LOVE THIS! They look so, so good. The before and after is seriously amazing. And now here’s another reason I need a cutting machine!! Thanks!! 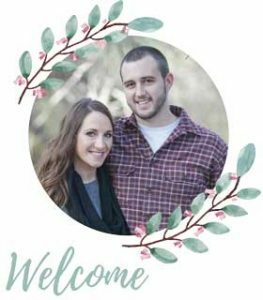 I LOVE my Silhouette and I got a few new fun cutting machines as a surprise for Christmas from my hubby! I can’t wait to play around with them more! I really love reading this post. Just like you, I like to keep things organized no matter what happens. By the way, I love those sticker labels and I will definitely use them when we move to our new house at the end of this year. I know it’s still months away but I’m already looking forward to it thanks to this post. A little organization can go a long ways 🙂 Good luck with your move.